Brrrrr it’s cold outside! It’s the wonderful month of February and the winter weather is on full blast. To warm myself up, I visited the famous Gamjatang Alley in Eungam-dong for a hearty and spicy stew made of pork bones and potatoes. 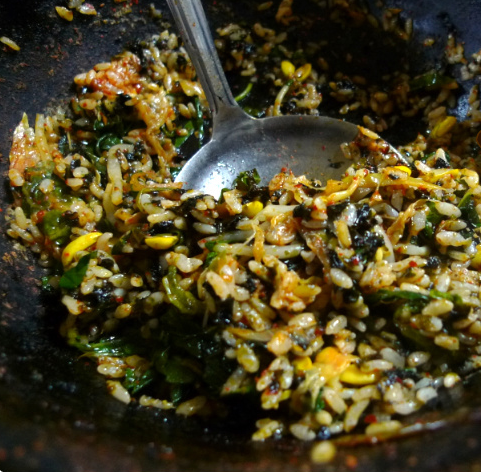 Gamjatang (also known as Gamjaguk) is a staple in Korean cuisine, especially during the cold weather. 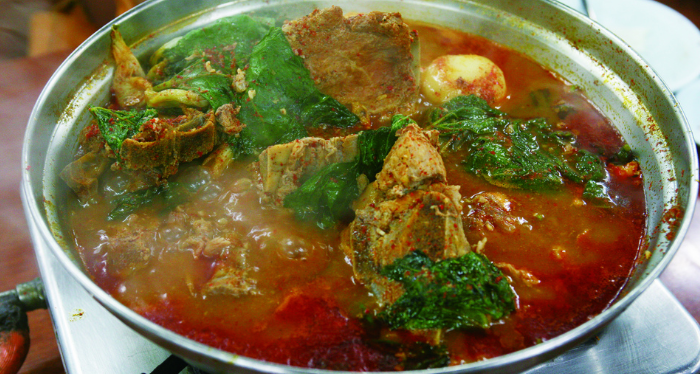 Although the primary ingredients are pork and potatoes, the stew also contains greens, garlic, green onions, sesame leaves, and ground perilla seeds which creates a rich and strong flavor, giving the dish a unique and spice filled dish. 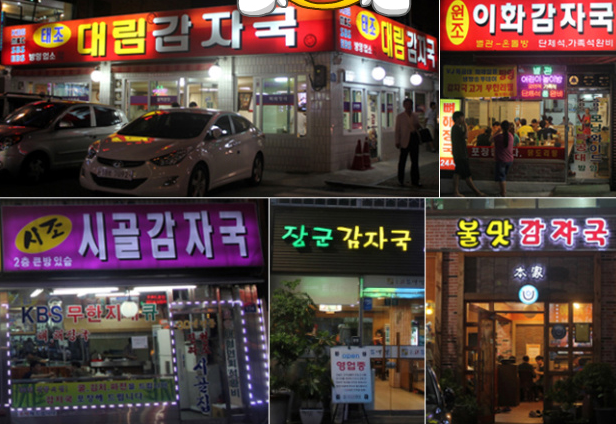 Out of the many gamjatang restaurants on this street, my friends and I decided on Daerim Gamjaguk (대림 감자국) since they had good reviews. (Honestly, all the restaurants on this alley are dedicated to gamjatang, so any one of them would have been as good in my opinion). All of us scarfed down the tender meat and delicate potatoes until only the broth was left. We finished off the leftover broth by cooking some ramyeon and rice in it, leaving us VERY full and satisfied. Not only did we get a generous meal for a bargain price, but the gamjatang made us toasty and warm inside. 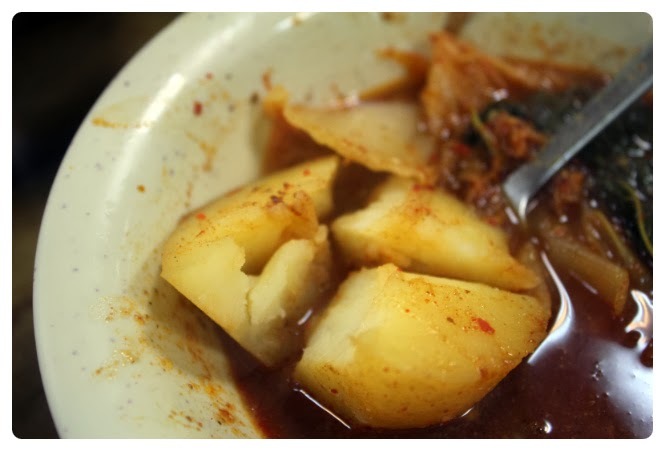 Hands down best gamjatang I ever had, and eating it in this weather made it taste even better. Go grab a bowl with your friends at Eungam-dong’s Gamjatang Alley! How to get here: Saejeol Station (line 6) Exit 2 go over Wasangyo bridge and take an immediate right into the alley. Take the first left street and you’ll see the sign to the Gamjatang alley!